Running a collectibles business, as with any business, relies on having a good customer base who are always willing to spend in your shop. In order to attract new customers and maintain customer loyalty from existing customers, there are a multitude of methods that you can use. Whether you go down the traditional route of business flyers and discounts or spend time creating special events, competitions and more, there are a variety of ways to attract customers. Many companies get involved in handing out flyers around town in order to attract customers. If you decide to do this, add some kind of voucher or coupon onto the flyer, otherwise you may find most people simply throw them away. If people think they’ll get a bargain by showing up and using the voucher, they’ll be more likely to visit your collectibles shop. Also, this serves as a great way of tracking which promotional methods are working for you. If you have people coming in who buy using your flyer, then you’ll know this is a good method to use in future. Likewise if you put up posters around town or do a leaflet drop through individual mailboxes. Always add a voucher, or at the very least a code on the leaflet that encourages people to use it when they buy from you. This helps you attract customers and also always know where they’ve come from. There is nothing more frustrating than spending hours printing out business flyers only to never know if they had any impact on sales. If you have a little cash available for your promotions, you can employ a direct mailing company to hand out your flyers for you in magazines or other mailings that go out locally. 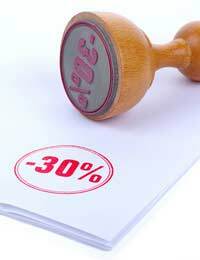 Another excellent way of attracting customers is to offer a variety of discounts dependent on different situations. For new customers, why not give them a 10% discount on their first purchase and a loyalty card if they return. For returning customers, stamp their loyalty card each time they buy from you and after 10 stamps, offer them an item at a reduced price. Customers love to work towards something and this can encourage them to buy on a regular basis. You can also increase sales and attract customers if you have a variety of special offers to entice them. If you have new items in stock that are sure to sell well, offer a discount or a free gift if customers pre-order. If you have older stock that you’re trying to get rid of, run some special buy-one-get-one-free offers so that customers are more interested in older stock. Collectibles can be a very time specific business and what was in fashion one month may be old news the next. Offering two for one deals will help you shift old stock and attract customers. If you find that your stock is backing up and you want to offload some of it, use this as a way of attracting new customers and giving regular customers a bargain. Print up plenty of sale signs and put them all over your shop and run the sale for a few days. Preferably a weekend is better as that’s when you’ll get most custom. Other than that, try and always have a small sales section in your collectibles shop for items that you’re trying to get rid of. You can also attract new customers by having special events in your shop, from guests who do signings, to simple trivia nights or gaming nights. Dependent on the kind of shop you have, try and come up with something inventive and you’re sure to catch the eye of some of the locals. You can tie this in with some competitions to get a bit of a party atmosphere and run them regularly or even on special dates such as Christmas and Halloween. There are certainly no shortage of ways to entertain, attract customers and build customer loyalty in your collectibles business. Just use your imagination and spend time investing in customers – they’ll hopefully return the favour and invest in items in your shop.